Today I am beginning a new Sunday series entitled “The Puritans.” I have a growing fascination with Puritan writing and thought it might be valuable to introduce you (and me!) to some of the most important Puritan writers. I will focus primarily on men whose works I have read in the past. Because I do not have the expertise to introduce the men or their work, I will be relying on experts like Joel Beeke and J.I. Packer to guide me. I begin with the Prince of Puritans, John Owen. John Owen was born in 1616 in Stadham, England, the second son of Henry Owen. He entered nearby Oxford University at age 12 and studied the classics, finishing in 1635 with a Master of Arts. It is said that during these years he studied for between 18 and 20 hours each day. When he was 26 years old he began to write. He became a popular and prolific writer and in 41 years would complete over 80 works, many of them becoming Christian classics. In 1644 Owen married Mary Rooke. She bore him 11 children, but, sadly, only a daughter survived into adulthood. In the same same year he married Mary he also openly converted from Presbyterianism to Congregationalism. 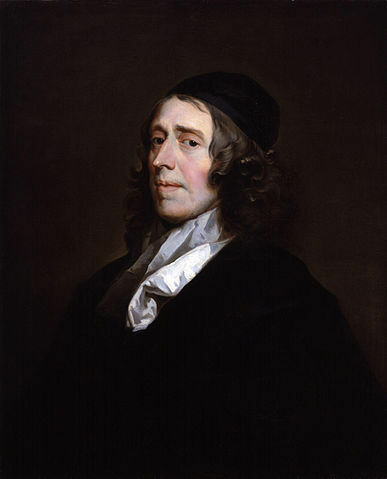 Through his writing and preaching, Owen gained a wide reputation in England. After the execution of King Charles I and the appointment of Oliver Cromwell, a Puritan, as Lord Protector, many new opportunities for influence opened up to Owen. He accompanied Cromwell on trips to Ireland and Scotland to help reform religious institutions and to convince the people of the rightfulness of ending monarchy in England. Back in England, Owen was installed as vice-chancellor of Oxford University, while still serving as a consultant to Cromwell. Owen lost favor with Cromwell in his last year as Lord Protector when Owen opposed him becoming king. And soon after, when Cromwell was replaced by his son Richard, the many prominent positions Owen had held began to be distributed to others. Even so, he continued to pastor, write and preach as he had opportunity, and his library of works continued to grow. Owen died on August 24, 1683 and was buried in Bunhill Fields, London. The wide range of subjects treated by Owen, the insightfulness of his writing, the exhaustive nature of his doctrinal studies, the profundity of his theology, and the warmth of his devotion explain the high regard he has among those acquainted with his works. If you are going to read just one work by John Owen, make it Overcoming Sin and Temptation by Kelly Kapic and Justin Taylor. This edition, while protecting the original wording, has been slightly modernized in style to make it just a little bit easier to read. It is easily one of the most important and life-changing books I have ever read.